I wrote about these little guys not too long ago, and we had many of them visit our backyard last fall. 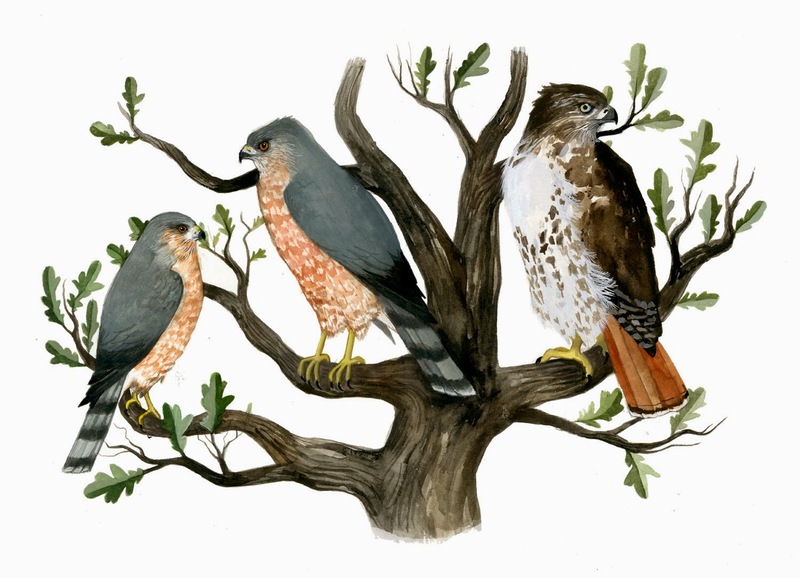 Their plumage was completely different at that time; much more drab. This is a male in breeding plumage and this what has been currently occupying my back yard this spring. They're so beautiful and a lot of fun to watch as they forage. I hate that I haven't been able to post here much, but there's a lot going on; most of it very good. I have, however, been able to make it in to the Field Museum of Natural History to volunteer in the bird lab several times in the last month. While there I checked out this show, and saw this one in its NYC incarnation. Have a lovely week, and I hope to be back here soon! I just saw my first one ever last week (Madison, WI). Cute and active. A friend identified it by its alternate name: Myrtle Warbler. Oh yes, I've heard of "Mrytle Warbler" before, but didn't realize that it referred to this species. Thanks! Very nice! Yours has the yellow throat, so I believe that is the "audubon" variation as opposed to what I've been seeing with the white, which is the "myrtle" variation. He is lovely. I think the closest we have to him is the goldfinch. 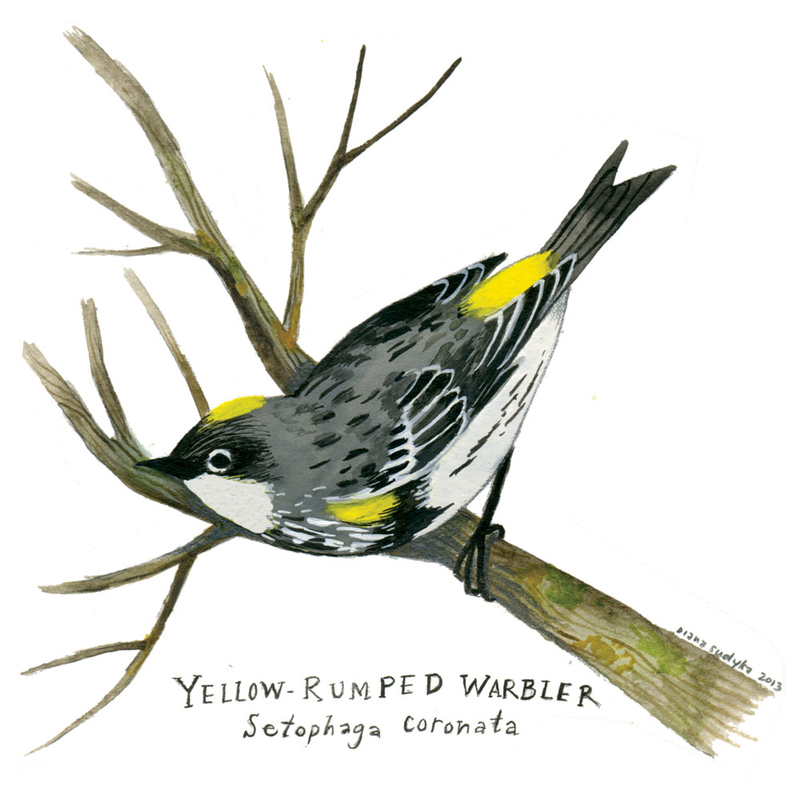 I love the Yellow-rumped Warbler,nice art work!! check out my picture of the Yellow-rumped Warbler I saw this morning.